Luxurious suites and comfortable apartments in historical premises with pool, saunas, large playground and zoo. Welcome to Ansitz Wildberg **** in St. Lorenzen near Bruneck! The Ansitz Wildberg in St. Lorenzen is situated in an excellent position with a view of the Rieserferner mountains. For our guest, we offer comfortable, lovingly designed apartments and suites, which combine the charms of a historical building and contemporary comfort. 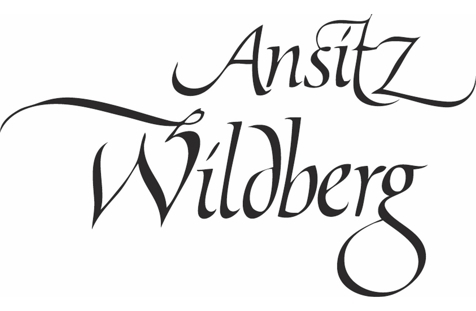 Next to our camping area, Ansitz Wildberg offers elegantly furnished apartments and suites for 2-8 persons. All accommodation units have one or more bedrooms, at least one bathroom and a comfortable living room, with well-equipped kitchenette. The suites also offer a private infrared cabin, a whirlpool and adventure showers. Our guest in the apartments and suites are also free to use all services at our campsite, which are a heated outdoor swimming pool with children’s pool, a playground, table tennis, a volleyball field and much more. Another highlight is our petting zoo with donkeys, cats, chickens, lamas, horses, rabbits, guinea pigs, goats and ponies. At the lovingly refurbished oil mill, we offer a Finnish sauna, a steam bath and adventure showers. In the relaxation room, you can relax on hand-coloured wooden beds of the 17th century. A bike rental and a ski room with ski shoe warmer is available as well. 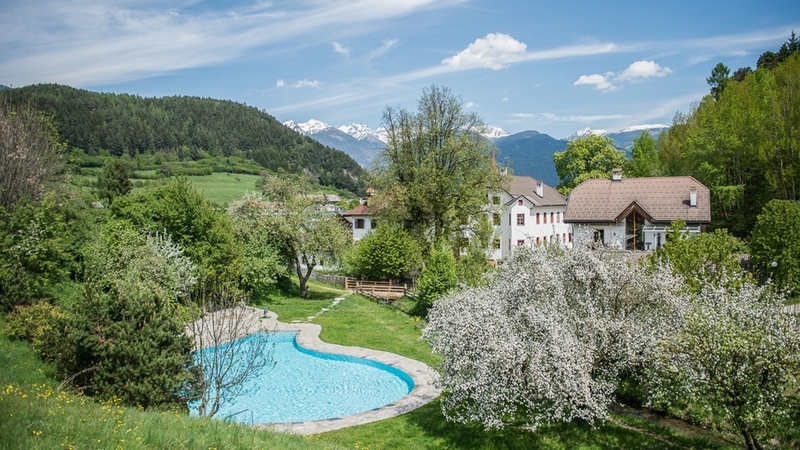 Our Ansitz Wildberg is only three kilometres from Bruneck, the centre of the Pustertal valley. It is situated directly near the train station and only 2 minutes on foot from the village centre of St. Lorenzen with many shops, restaurants and bars-. The famous skiing area Kronplatz is in the near distance too. Moreover, our house is an ideal starting point for many hikes and bicycle rides through the wonderful mountain region. The Pustertal cycle path goes right in front of our house. Cool in the summer and magical in the winter, this is medieval architecture with modern comfort. We have transformed our Ansitz (Residence), which dates back to the 13th century, into beautiful wood paneled rooms with bay windows, to create the Wildberg Suite. 1 Bedroom with bay window, double bed, bathtub and sofa bed. Bathroom “en suite” with toilet, bidet, relax shower, hairdryer, washing machine. Big and modern kitchen with bay window, microwave, ceramic hob, dish washer, coffee machine, safe, eating edge, sofa bed in the bay window and sofa bed. 3 Flat screen television with satellite reception, wireless internet access. Extra toilet. Bedroom with “en suite” bathroom, relaxation shower, whirlpool, bidet, toilet and infrared sauna. Bed and kitchen linen and towels are available. 1 balcony. Bedroom with double bed (pillows, blankets), living room/kitchen (pots and pans, utensils, dishes, coffee maker, dishwasher, TV), bathroom with shower and WC. Linens are available. Towels are not included. 2 separate bedrooms with double bed (pillows, blankets), kitchen (dishes, pots and pans, utensils, coffee maker), dining room with TV e balcony, bathroom with shower and WC, washing machine. Towels are not offered. DESCRIPTION: 2 separate bedrooms with double bed (pillows, blankets), kitchen (dishes, pots and pans, utensils, coffee maker), dining room with TV e balcony, bathroom with shower and WC, washing machine. Towels are not offered.